At L.E. 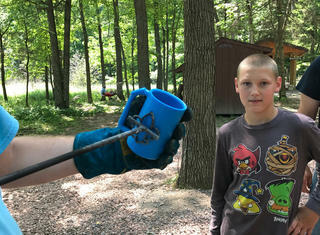 Phillips Scout Reservation, we strive to give you everything you look for in your summer camp experience! Based on 5 beautiful lakes and 1400 acres of great Northern Wisconsin scenery, we provide you the experience that will give you memories to last a lifetime. 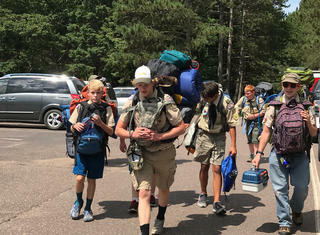 With a unique, unparalleled program, an experienced, handpicked staff and an emphasis on quality and customer service, we offer you the best Scouting environment you could ask for in a summer camp. 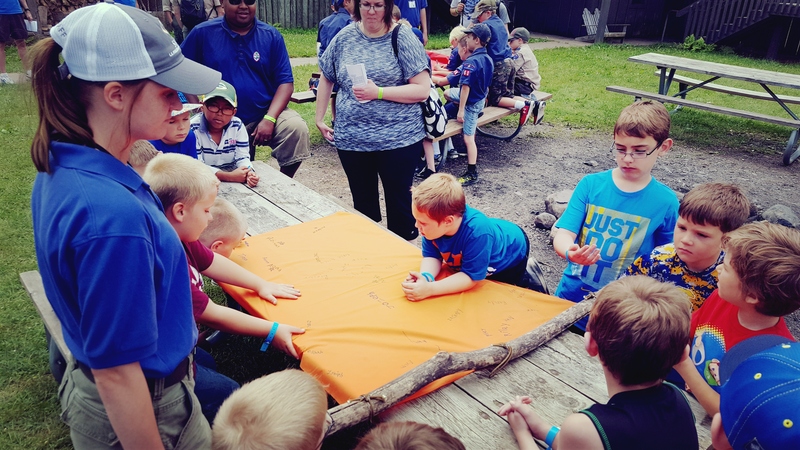 We not only teach skills to be used in your Scouts' future, but we teach lifelong skills in communication, sportsmanship, high self-esteem, and leadership. Come to the L.E. Phillips Scout Reservation expecting and demanding a great time! The goal of the L.E. 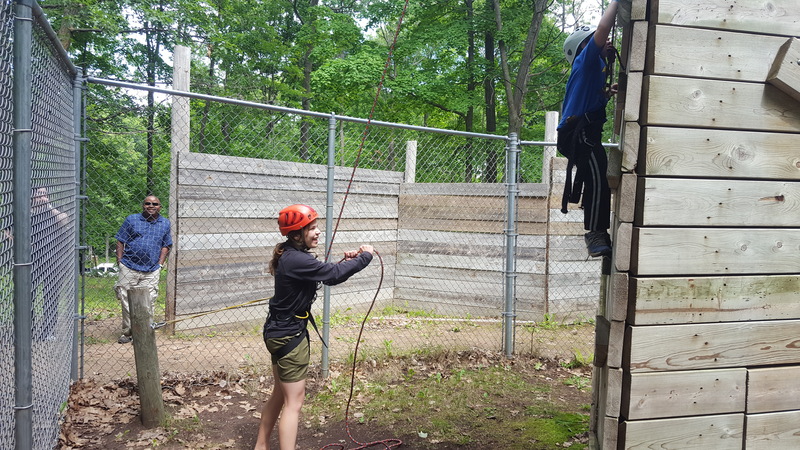 Phillips Scout Reservation is to provide each Scout who comes to camp with an outdoor experience that allows for personal growth, esteem building, and advancement, while living the Scout Oath and Law. We strive to achieve and exceed the standards set by the Boy Scouts of America and have a strong heritage of receiving "A" ratings during National Accreditation. Come and get the L.E. 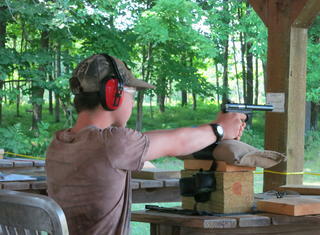 Phillips Scout Reservation experience you can't get anywhere else! ERIC MUENCH Reservation Director Eric Muench is the Reservation Director for the Chippewa Valley Council. This is his second summer as Reservation Director and in the past 9 summers he has also served as Shooting Sports Director, Program Director and Commissioner. Eric is excited for your arrival at camp. 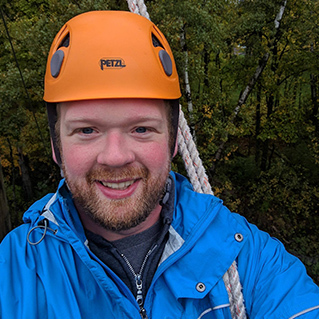 Feel free to contact him any time for questions or feedback at eric.muench@scouting.org. Camping and Outdoor Programs Committee A committee of volunteers oversees the L.E. 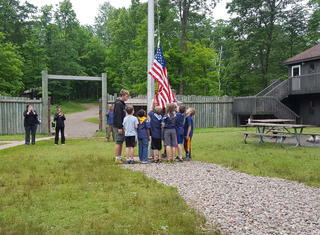 Phillips Scout Reservation and advocates for customer satisfaction, food service, shooting sports, aquatics, COPE, outdoor skills, ecology and advancement. Contact the Chippewa Valley Council Service Center at 715-832-6671 if you would like to be in contact with the Camping Committee Chair or other volunteer advocates. 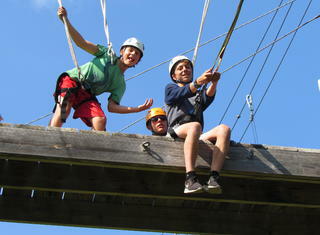 Camp Phillips is known for great campsites, traditional Scout activities, enthusiastic staff and excellent facilities. 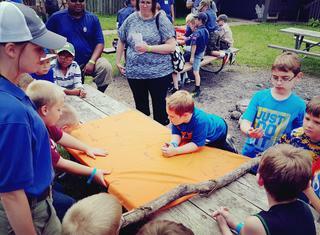 Cub World is a miniature version of Camp Phillips, with a lot to offer a Cub Scout Pack in a short three-day stay. Camp Phillips was made possible through the generosity of Lewis E. Phillips, then head of National Pressure Cooker Co. (now National Presto Industries) in Eau Claire, Wisconsin. In 1947, Judge Merrill Farr, a friend of L.E. Phillips, took him fishing in Haugen, Wisconsin. While on that outing, Judge Farr took him on a tour of a nearby Boy Scout Camp, which unknown to L.E. Phillips was the purpose of the whole trip. What L.E Phillips saw that day became his own personal dream—to give the youth of today what he had been denied. Within the following year L.E. 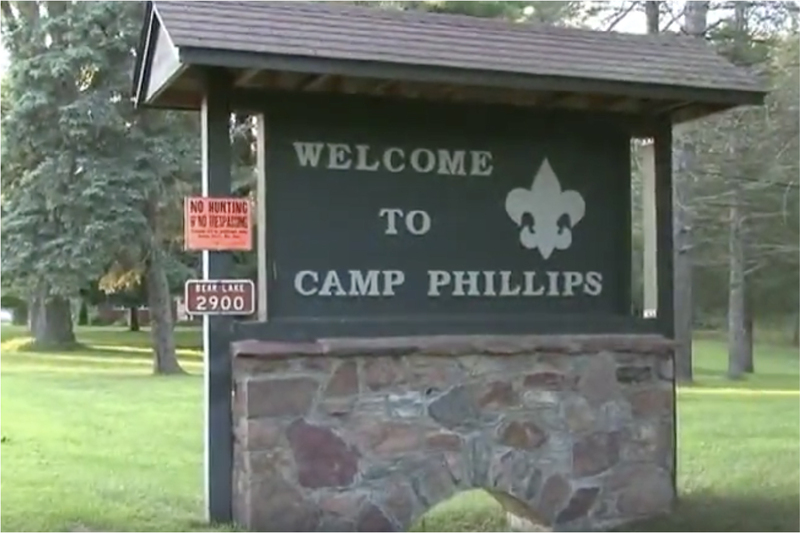 Phillips proposed to build a new Boy Scout Camp. It was determined that a site adjacent to Bear Lake, in Barron County, Wisconsin, would be purchased and gifted to the Chippewa Valley Council. 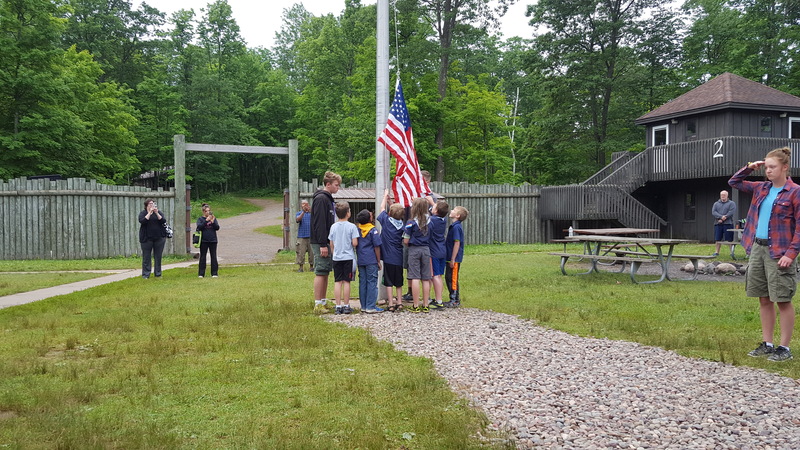 An expression of the most sincere gratitude from the Chippewa Valley Council and families of all the scouts participating in Scouts is owed to Mr. Phillips. By 1949, enough buildings and areas had been constructed to begin camping. Camp Phillips was dedicated on June 22, 1952. It was hailed as a model for other camps in the nation and that description has stood the test of time. 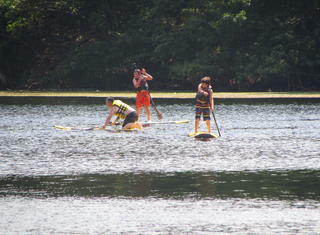 The reservation covers 1,400 acres, five lakes, and has beautiful pines and hardwoods. It provides an outdoor classroom that is unparalleled. The Chippewa Valley Council prides itself on the program and the site, and affectionately calls L.E. Phillips "America's premier camp".